Image: The Curse of Oak Island, The History Channel. This information is part of the Public Domain and/or is an attempt to bring various published sources together to present a timeline about the Mystery of the Oak Island Treasure and the various efforts at locating the treasure conducted by men and women from Nova Scotia and other places around the world—most recently by the Lagina brothers whose efforts have been featured in The History Channel’s The Curse of Oak Island, which, at the time of this post, is on its sixth season. Oak Island lies off the western side of Mahone Bay, off the coast of the Canadian province of Nova Scotia, about 35 miles west of Halifax. The island itself is approximately 1 mile long and 1/2 mile wide. The island’s legend began around 1795, when three young men discovered what appeared to be the location of buried treasure. The story was first written about in newspapers in the 1860s, and has been continually reported on to the present day. How much is true, over the years, and how much is exaggerated to make a more sensational story, can never be known. However, Millions of dollars have been spent since the digging began hundreds of years ago, and many lives have been lost as well. There are several theories about what lies 100+ feet below the surface: pirate gold, Inca gold, Templar Knights gold, even original manuscripts of the works of William Shakespeare. Some think there is no treasure, that the underground is filled with natural channels of water and cavities formed from limestone. Others, such as Petter Amundsen, claim the treasure exists, all right, just not at the original “Money Pit” location A.S. has always been believed. Amundsen singlehandedly spdiscovered what he insists is a map to the Oak Island treasure hidden in an original folio of William Shakespeare’s—and his evidence is compelling. In fact, Season 1 of The Curse of Oak Island includes an episode in which Amundsen visits the island’s current owners the Lagina brothers and leads them to the site at which he believes the treasure is buried: in the triangular man-made swamp at the mouth of Smith’s cove. The following timeline includes some early events that may at first seem irrelevant to the story, but that many believe are part of the explanation for the possiblility of the existence of buried treasure on the island. Note: References* referenced in [brackets] are listed at the end of this post and we’re contributed by Ken Polsson; the number after the dot in the bracketed reference provides the page number within the source document. Unsure of where exactly the Money Pit is, William Chappell and his brother create a 12 x 14 foot shaft (#21), slightly southwest of the Money Pit. They dig down to 163.5 feet, using a 450 gallon/minute pump to keep water under control. Drilling another 14 feet results in 12 feet of mixed soil then a 2 foot gap, then hard clay. They conclude they are not directly over the Pit, but may be 6-7 feet south. At 116 feet, they find an anchor fluke embedded in wall, 14 inches long, 9 inches wide, 1.25 inches thick, no sign of rust but not recent design. At 119 feet, a granite boulder about 5 feet diameter is encountered. Under the boulder are fragments of wood, wood chips, spruce boughs, and a limb of oak. At 123 feet, an axe is found, with rusted head, clean wide blade, and 3 foot long wooden handle (resembling a 250-year-old Acadian axe). At 127 feet are found a pick (head 14 inches, handle 18 inches) and remains of miner’s oil lamp with seal oil. From 130 to 150 feet are various pieces of granite. Shaft 22 is dug down to 124 feet 6 inches. At 50 feet down, about 10 pieces of old 2-inch drill casings are found, an 8-foot section of well-rusted 2.5-inch pipe, and several pieces of 6-inch drill casing. At 65 feet, a miner’s whale oil lamp is found, and unexploded dynamite. At 80 feet, an oak stump piece is removed. At 93 feet, putty-like clay not found on the island previously is encountered. At 104 feet, a tunnel measuring 3 feet 10 inches wide by 6 feet 4 inches high lined with 5- and 6-inch hemlock timbers is encountered. The tunnel is thought to be either an original water tunnel, or one dug by the Halifax Company in the 1860s. 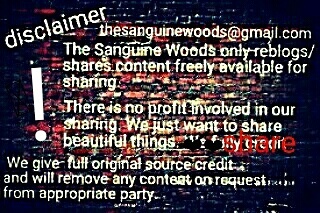 NOTE: Please stay tuned for an update fro, 2007-2019…coming soon from Sanguine Woods! Oak Island Obsession – The Restall Story, by Lee Lamb, 2006. Oak Island and its Lost Treasure, by Graham Harris and Les MacPhie, 1999. Oak Island Gold, by William Crooker, 1993. Oak Island and its Lost Treasure Second Edition, by Graham Harris and Les MacPhie, 2005. The Oak Island Mystery, 2nd Edition, by Reginald V. Harris, 1967. Coins, May 1981, Volume 28, Number 5. Maclean’s, August 10, 1987, Volume 100, Number 32.